Jonathan Smucker is a long-time organizer and theorist in grassroots movements for social, economic and ecological justice. He is co-founder and Director of Beyond the Choir and is currently a doctoral student of sociology at UC Berkeley. 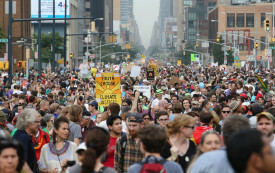 The movement to stop climate change needs both mass mobilizations and direct action.